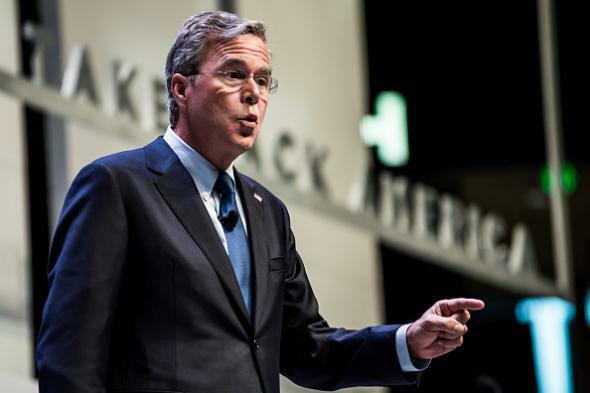 Jeb Bush: Washington, D.C., "not part of my DNA." Jeb Bush at the Heritage Action Presidential Candidate Forum on Sept. 18, 2015, in Greenville, South Carolina. The first part of that statement is true, as Jeb doesn’t seem to ever have held a job that involved living in Washington. The second part of the statement is one of the most disingenuous statements in American politics’ distinguished history of disingenuous statements. Washington is in Jeb Bush’s DNA in an almost literal sense, in that he was born three months after his grandfather Prescott became a senator. Members of his immediate family have been president or vice president for 20 of the past 35 years. Here’s a picture of Jeb at an anniversary party that his brother threw for his parents in the White House. In other words, that’s a picture of members of the Bush DNA tree including Jeb Bush, George W. Bush, Laura Bush, Barbara Bush, George H.W. 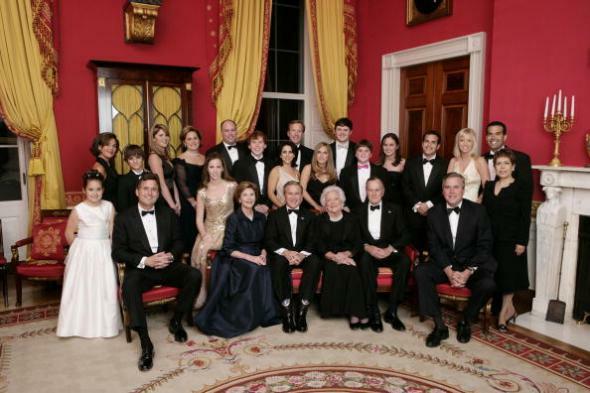 Bush, Margaret Bush, Walker Bush, Marvin Bush, Jenna Bush, the younger Barbara Bush, Pierce M. Bush, Maria Bush, Neil Bush, Ashley Bush, John Ellis Bush Jr., Mandi Bush, George P. Bush, and Columba Bush comfortably taking a Christmas-card style photo in the very metaphorical center of Washington, D.C. Jeb Bush is not an outsider.